Hey! Has anyone checked out your DNA? If so, we’re not surprised. Experts say that 1 in 25 adults in the USA have had their DNA tested. There are 34 DNA popular testing companies out there , offering plenty of opportunities for you to see what your genes have to say about you. Some of these tests are admittedly, a bit stranger than others. Which is of course why we picked them out to show them to you! This DNA test shows your unique superhero traits such as strength, intelligence and speed. Now, we can see this DNA test appealing to anyone who’s ever wondered if they might have hoped to have been bitten by a radioactive spider (instead of just a normal one, the way most of us have been)! The test promises to help you “tap into your hidden superpower.” If you or someone you know is a huge superhero fan, then finding out you are really strong, truly brilliant or super fast is going to give you the confidence that you could hang out with Aquaman, Batman, Wonder Woman and Superman. Why, you could even have your own Batcave! basepaws is “the” DNA test for cats. So if you want proof positive that your cat has certain traits, like the stealthiness to sneak into a room and knock things off a table, this is the test that will tell you all about your feline. Then again, if it IS in your cat’s DNA, you can’t scold them for it anymore! basepaws shares information about 32 diseases too, so you learn lots of health information. 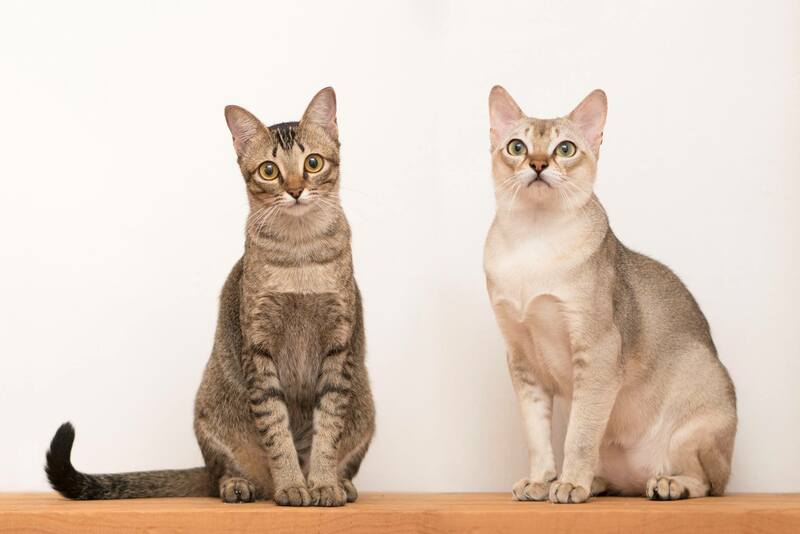 If your cat is a purebred or just an adorable kitty you got at the shelter, basepaws looks at 32 cat breeds and 14 wild cats, to see exactly the origins of your cat’s specific DNA. You get wellness tips & the ability to send the report directly to your cat’s vet, so they can be in the loop about your cat’s genes. This is a vast-reaching test, telling you all about your feline from the tip of their tail to their whiskers! Karmagenes is the test to take if you want to learn everything there is to know about your personality or make someone you know take so you can learn everything about them and what makes them tick! Now, don’t go sneaking DNA samples from people you’re curious about – just so you can finally figure them out! This test covers what they define as “the Big 5” aspects of your personality: DNA & Friendship, DNA & Dating, DNA & Parenting, DNA & Entrepreneurship, DNA & Gambling and DNA & Finance. Getting to know your DNA can help to improve your relationships and make you aware of how well you’ll do at work. Karmagenes states that friends “are genetically linked” to each other. It’s the exact same thing with dating: you’re going to pair up with someone who has DNA that compliments yours. Karmagenes calls their test a “tailored psychological assessment tool.” This is a very unique way to get to know yourself – instead of reading stacks of self-help books or spending your time on a psychiatrist’s couch talking about the goofy dream you had last night! DNARomance.com – Now, if you’re already jumping aboard the “DNA test train” this is truly going to excite you. Because DNARomance.com is online dating & a DNA test combined! If you want, you can use one of the popular DNA tests (23andme, AncestryDNA, etc.) that are out there, to sign up with their dating site, or simply order their own DNA test to sign up to date members. The site offers what they call “scientific matchmaking,” which probably has a better track record than my dear, sweet intentioned Aunt and the goofy blind dates she’s sent me on! In 30 minutes of adding your information, you receive matches that you are compatible with, so there is no waiting around for your soulmate. There have been many methods to match singles, such as astrology, taking personality tests, going to a matchmaker or attending a speed dating event. With the recent popularity of DNA tests, it does not surprise us in the least that people are trying to see if it is successful with dating. 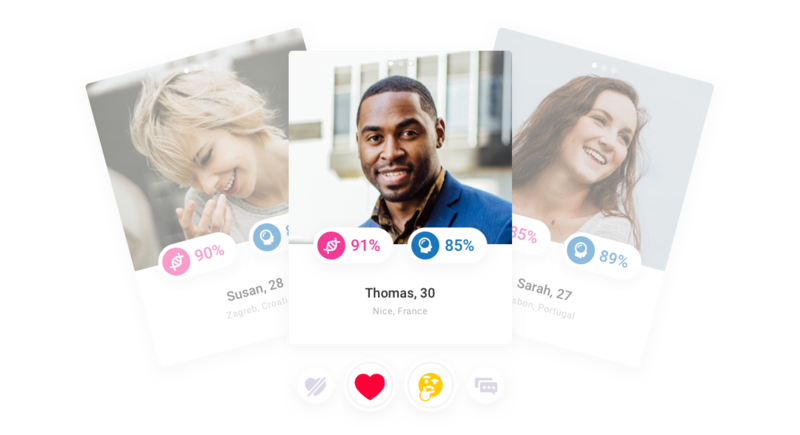 If you prefer dating apps and want to “swipe right” to pick your guy or gal, take a look at Pheramor. That’s a DNA dating app that includes a DNA test. No, we don’t think you can take the DNA test via your cellphone, but we bet you’ll figure something out! Well, once you’ve dated & found that perfect mate and had that terrific wedding – you could have had a set of twins together. That’s right! Wowza, twins! So you’ll need this DNA test, the Identical Twin Zygosity Test, which will tell you for 100% sure if your twins are fraternal or identical. Avoid the arguments at the family dinner table over the holidays and know, for once and for all, for sure exactly what you have. Results are delivered in 24 hours, so this cuts down on excited, brand-new Grandparents calling you to ask for the final news on what type of twins you’ve had. Now, we’ve been a bit silly about some of the DNA test so far, but this is one we think is really going to catch your eye, because it is impressive. Food Sensitivity+ by Everly Well will share with you lots of information about any food sensitivities that you might have. So if your body does not like to digest certain foods – you’ll get proof positive when you take this test. It can help you decide exactly which foods to eat and others that you need to avoid. No, it probably doesn’t test specifically for your Mother-in-Law’s cooking, but you can tell her that you can’t eat broccoli or a few other things and just take it from there. Better yet, bring your own meal over to her house and tell her all about this DNA test you took! Lose It! is a DNA test we know will raise some eyebrows. They say they can look at your DNA and help you understand the best way to lose weight. Personally, I think even my DNA needs to drop a few pounds, but that’s me! Now, they’ve helped millions of people lose more than 70 million pounds with their DNA test. The DNA test also comes with an app, so you can track your food choices and be more successful with weight loss. With a customized, personalized weight loss plan, how can you not succeed? After all, it’s in your DNA! So you’ll know if you should do low-carb, Atkins, Paleo or some other type of weight loss diet. The Destiny DNA Test is one we can see appealing to many, both young and those who are young-at-heart. Why? Because they say they can help narrow down exactly what type of career will be 100% perfect for you – based on your DNA (of course!). ViaMedex states their test is so helpful because many things can get in the way of a successful career choice, such as economic factors, motivation, education and even just pure luck for that matter. But what if you knew that your DNA was telling you, right now, that you were meant to do something totally amazing? Like that you really could be an astronaut if you just tried? Wouldn’t you stop playing Candy Crush for hours? We think so! Then again, maybe you’d play a couple of games once you were in outer space! Whether you are a pro athlete or just a weekend jock, EnduranceDNA is a test you’ll probably be curious about. Like seeing a great physical trainer, this DNA test says it will show you how to train in the best way, what to eat to stay fit and strong, and also how to easily avoid injury. Many of us who’ve played sports or just taken classes at the gym have gotten great advice on how to get better. But with this DNA test, it’s 100% customized to exactly who you are and what will work for you. So you actually can “be the best you can be” in every way as an athlete! Trying to quit smoking? If you’re having a really tough time at it, this might actually be your DNA. Yes folks, there is a Smoking Behavior DNA Test that will show how challenging it will be for you to give up smoking. Smoking is undoubtedly a tough habit to quit, it’s extremely addictive. Many people have to make repeated attempts before they quit for good. If you found out your DNA made it a bit hard to quit, that might give you some reassurance as you were going through quitting smoking! So instead of criticizing yourself for not having fantastic willpower, you would know that it was in your genes. Yes, you could still keep at your efforts of quitting smoking – but what a relief to do it, without beating yourself up about not doing it as quickly as your Uncle Larry did, right on the first try. For you, it might take 3 tries, just see what the DNA says. So get out there and take a swim in your gene pool! Get your DNA (or your pet’s) tested, to find out everything there is to know about you. Because we bet some (or all!) of these tests are going to have some surprises in store for you!